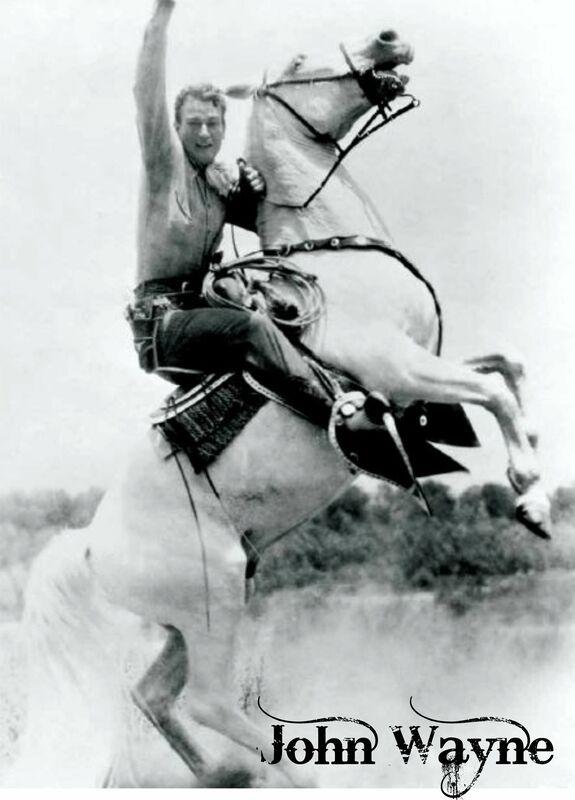 A while back I got a bright idea to do a post on one of the most famous and Iconic Images of Early Westerns Film – the publicity shot of our Western Hero rearing up on his/her trusty Steed. Most every Star did one of these shots all the way from early Westerns right up to Roy Rogers, Zorro, The Cisco Kid and The Lone Ranger. I figure this would be an interesting and fun post. So I set about rounding up as many such images as I find and …. pretty soon I had a lot. A lot. And as I started to put this together, things got even more complicated. How could I just throw a pic of Buck Jones on the blog, for instance, without saying something about him? Especially since he’s not all that well known these days – unless you’re a real Western Movie buff. I just couldn’t do that. 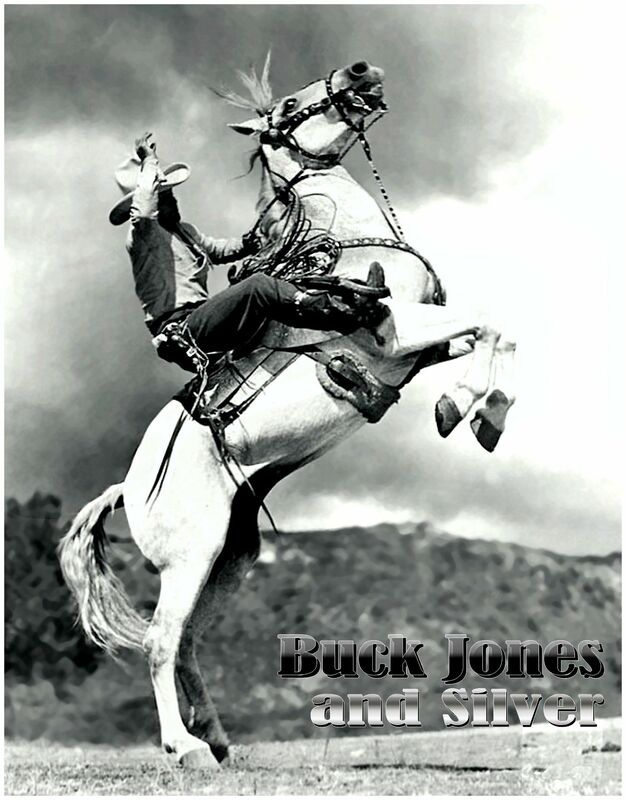 Buck Jones – or Bob Baker – Ken Maynard and others were all big Western Stars in their day – and interesting guys. They deserve more than just a passing pic in the wind.. Sooo I started to to put a couple of bios together. HAH! Soon I had so much material – and a lot of it was really good – that this project went from being a mere pic post into an encyclopedia. A monster had emerged. Not where I planned to B.
I’m sorry. All those other horses are nice, but Trigger and Lone’s Silver will always have a special place in my heart, along with Tonto’s Scout. 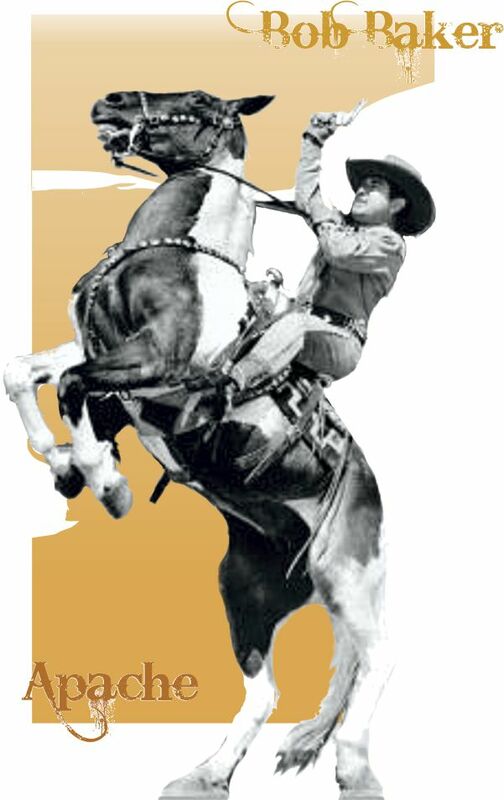 Did you know that there were several Silvers before the Lone Ranger? Yep. It seemed to be a popular name for a white steed. ?? Not sure about Scout though. I am looking forward to seeing what you came up with.